Fall is finally here, and you know what that means — companies are already rolling out their Christmas decorations (and marketing strategies). So as we move into the holiday season and 2016 beyond, it’s as good a time as any to brush up on your digital marketing strategies for the new year. 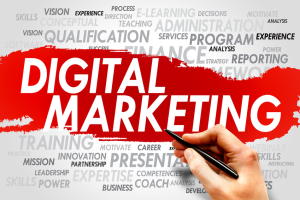 How has search engine optimization and digital marketing changed this year? And how are elite marketers adapting in anticipation of the changes yet to come? Here are five statistics and data points you’ll need to know in 2016. While a lot is changing in search engine marketing, some things never will. This year, as in years past, 40% of people will bounce away from your site if it takes more than three seconds to load. There are a number of free tools you can use to check load times, and if you’re clocking in at three seconds or more, it’s time to get back to basics. In 2015, fully 70% of digital marketing services planned to use more visual assets. Increasingly, users prefer finding information via infographics, videos, and even video advertising. That’s why online video videos finally passed an important benchmark, 50 billion views every month. It also means that older, dated looking websites could benefit greatly from some basic graphic design services to spruce up the look and feel of their site. Because if users expect visual elements, you can bet Google will too. If your site is more than four years old, perhaps it’s time to invest in professional graphic design services. What’s Click-to-Call marketing? In short, when visitors land on your site, your chances of converting that traffic into leads increase greatly if you can get them to actually call your company. One digital marketing agency predicted that Click-to-Call influenced sales would double by 2019 to nearly $1 trillion. At a recent search engine marketing conference, one web development company reported that 72% of consumers who performed a local search visited a storefront within five miles. That might seem obvious, but it underscores how important local SEO services will be in the years to come. Your customers want to look at a business’ website before visiting in person. Any digital marketing agency will tell you this — you have about 10 seconds to make an impression on users once they visit your site. That means you can’t trust them to click around to find what they need. It’s also the reason vertical scrolling was so popular this year. Most websites created in the past few years are designed so that all the information a customer could need is contained right there on the home page, and the user’s focus is naturally drawn down the landing page. According to one digital marketing agency, they lost up to 97% of their potential leads on leaking landing pages this year. If you want to step up your SEO services and digital marketing in 2016, then you’ll need to focus on user experience with visually appealing content. And if you want to bring people into your storefront or office, you need a strong local search presence. With the right marketing plan, all of these goals are attainable.